Bhakti Industries produces one of the best qualities of Jeans Hanger. Sourced from our very reliable vendors we use only the beat quality of plastics and steel material to develop these products. They are consistent and have a good capacity to carry the weight of any type of cloths. The hangers are available in different shades of colors and various attractive patterns and designs. Further they can also be made available as per the specification given by our customers. 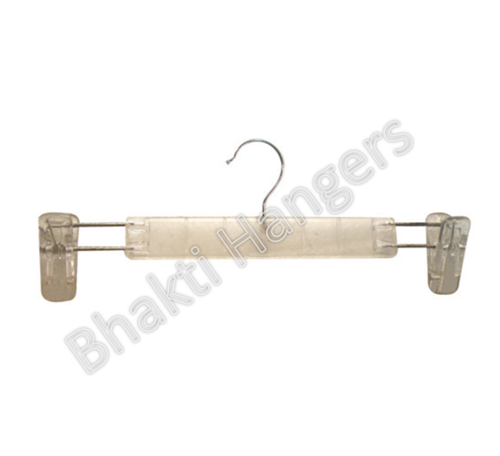 Bhakti Industries (India) is one of the leading Manufacturer and Supplier of qualitative plastic hangers from last 16 years with advanced manufacturing technologies and creative designs. The most important aspect is raw material that we used for production purpose. Special attention is given to production process. Our hangers are properly checked for durability, strangeness and thickness. We are providing out products in varieties of color and shrink packing with company label. We assure that our product are safe and remains strong for long time use. Our hangers can be used in both ways, in homes as well as in garments showroom for hanging their garment.